Taking awesome and doubling it can only be double awesome. It’s math. This is essentially the 35K recipe doubled. Double roasty, double chocolatey, double creamy, double delicious. Then we decided to make it 2.5X awesome by aging it in Angel’s Envy barrels for a really, really long time. 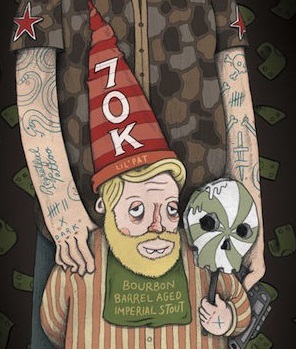 The bourbon and oak flavors perfectly compliment the massive flavors in the double mega imperial milk stout. You don’t swim in this beer, it swims in you!